1)Sprinkle steaks with salt and pepper. Place in glass dish and marinade in Super Garlicky Bread Dipper w/Blue Cheese (turning to cover) 30 minutes or overnight in fridge. 2)Mix cream cheese and Garlic & Blue Cheese Potato Seasoning well. Add vinegar, sour cream & jalapeno chile. Blend well, stir in parsley. Let stand minimum 30 minutes or refrigerate overnight. 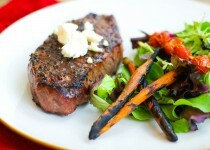 3)Heat barbecue to medium-high & grill steaks about 5 minutes each side. 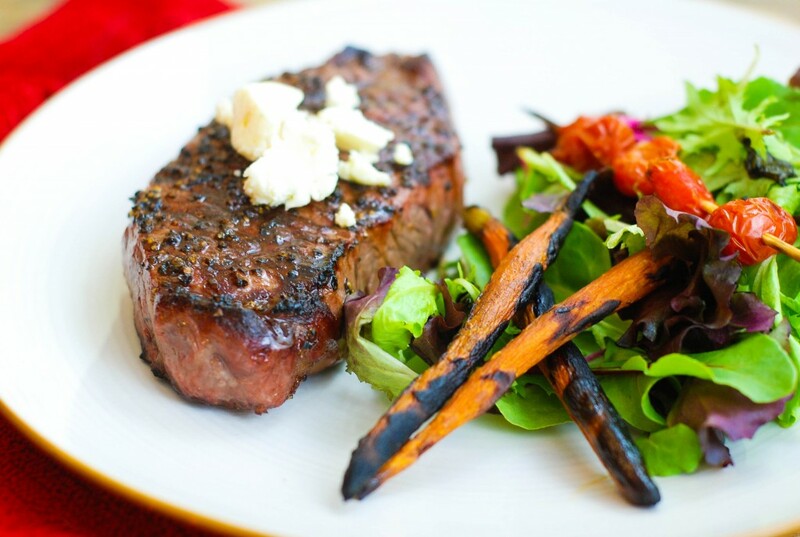 Remove from grill, dollop a generous tsp of garlic spread on each steak. Serve immediately. NOTE: You may serve garlicky blue cheese spread with potatoes.